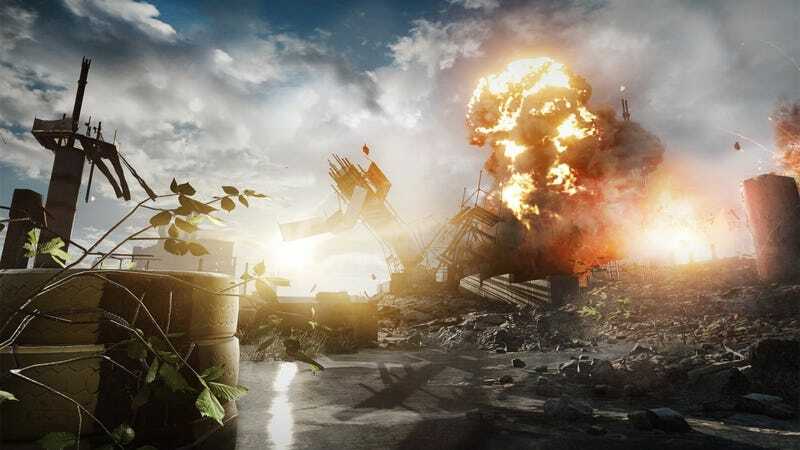 To the surprise of no one, China's Ministry of Culture has formally banned Battlefield 4—though "condemned" may be a more accurate term considering the game never was formally for sale there. Anyway, the game is henceforth "illegal," according to reports from the country. China.com, one of the country's oldest and largest online news sites, reported the ministry's proscription yesterday, something widely expected since the game's launch. Combat takes place on the Chinese mainland and the game's principal antagonist is Chinese, though the story has him plotting to overthrow China, bringing it to war with the United States. The reasons for the ban have more to do with "cultural encroachment" even though the Ministry of Culture's statement says the game "encompasses elements that affect national security." That's communist-party talk for saying the game's content will cause turmoil in the country or undermine whatever it's teaching to its people. "Cultural encroachment" is a bit of a different problem, something that has bothered China for a while, in which it sees the West using its media and entertainment to undermine Chinese culture and stability. "The content of DICE's game slanders the good image of the People's Liberation Army," says the statement, translated by Eric Jou of Kotaku. "The scenario of [Admiral] Zhang and his renegade general is particularly wrong; it is hard for many Chinese players to accept." Copies of Battlefield 4 were available in China through the gray market and still available for sale as of this morning. The ban probably won't affect any gray market sales or have much of an effect on anyone already playing the game. It for sure ends any chance of the game being sold legitimately in China, if that was even a goal for Electronic Arts. We've given them the courtesy of a request for comment and will update here if any is made. China previously banned Command & Conquer: Generals on similar grounds. If you're going to sell a video game there with government approval, the People's Liberation Army had best not lose. Films seeking a Chinese release can't depict the destruction of China or its monuments, with exceptions allowed for historical dramas that have been approved. Battlefield 3 also was banned by a country where it was never sold openly: Iran, whose capital, Tehran, was the scene of fighting in the game's campaign. Eric Jou contributed to this report from China.